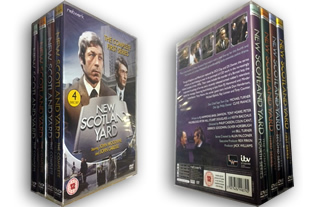 New Scotland Yard DVD set. 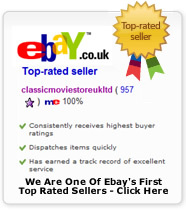 The complete 4 series on 14 dvd's. DELIVERED FREE IN THE UK. Starring John Woodvine, one of Britain's most acclaimed character actors, this LWT police drama series presents a gripping authentic representation of detective work in London during the fast changing 1970s. The focus is on Detective Chief Superintendent John Kingdom, of the Central Office of the CID. After working his way to the top through several Greater London divisions, he knows the force and he knows the villains, and with a quiet command he tackles some of the capital's most serious, high-profile, and difficult cases; assisting him is his equally efficient colleague, Detective Inspector Alan Ward (John Carlisle). The complete 4 series on 14 discs. 14 DVD Set delivered to your door.